Coyle enjoyed two years of success at Burnley, leading the club to promotion to the English Premier League. (CNN) -- English Premier League side Bolton have finally confirmed the appointment of Owen Coyle as their new manager. Coyle will take immediate charge of the team, although with this weekend's clash against Sunderland postponed, his first match will be the Premier League clash with Arsenal a week on Sunday. Former Burnley manager Coyle told Bolton's official Web site: "I'm absolutely delighted to be back at Bolton Wanderers. "I look forward to the opportunity of bringing the good times back to the club for everyone." Owen was our number one target and we are naturally delighted that he has returned to the football club as manager. The delay in confirming Coyle's appointment was largely due to Bolton's ongoing negotiations in thrashing out a compensation deal with former club Burnley. Earlier this week, Scot Coyle made it clear to Burnley he wanted to make the move and reiterated his desire despite Burnley's reluctance to lose him. 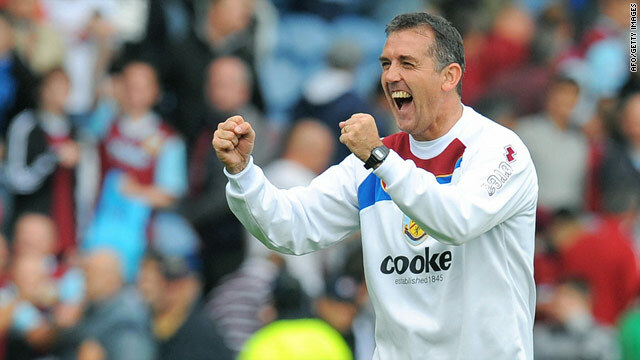 Coyle led Burnley into the top flight for the first time in 33 years after moving from Scottish club St Johnstone in November 2007.